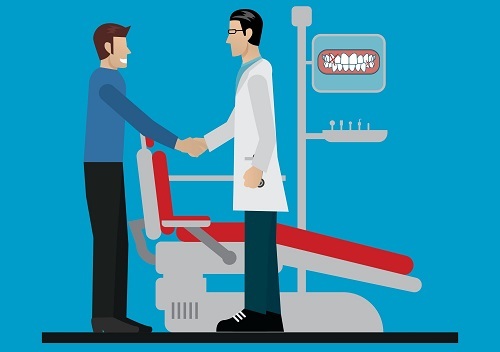 We’ve all heard of molars and incisors, but if you’ve received a dental treatment plan from your dentist or you looked at your X-rays while at the dental office, you might be curious what it all means. The same is true if you hear your dentist and the dental assistant talking about tooth decay and using tooth numbers during a treatment. It sometimes sounds as if they are speaking a different language, even though they are talking about your body parts! This is because each permanent tooth has a special name and tooth number that make it easier for dental health professionals to identify and have conversations about them. Think about it: with all the teeth in your mouth and everyone else’s mouth, how efficient would it be for dentists to call teeth “this one” or “that one” when creating a dental care plan? Understanding the tooth numbers and names associated with your teeth can not only take the mystery out of your dental health care, it can help you feel more at ease during your appointments. The guide below can help you make sense of all the crazy terms used when you’re undergoing a dental exam and treatment. Teeth are named based on the codes and abbreviations created by the American Dental Association. Dentists and other dental health professionals learn these terms while they are studying for their careers. The average person knows the basic names for their teeth: wisdom, incisors, and molars. You either learned these in health class or over the years during your dental health visits. When your hygienist explains brushing and flossing techniques, they’ll likely use some of these terms and if you find them confusing you can ask for more clarification at that time. In addition to these general terms, dentists also address teeth by numbers. The numbering system is structured around the 32 permanent teeth in an adult mouth. The chart works in a clockwise fashion from the dentist’s perspective. This means teeth one through 16 are on the top half and teeth 17 through 32 are on the bottom of the mouth. As determined by the chart, your wisdom teeth are teeth one, 16, 17, and 32. Your front teeth that are most visible are teeth six through 11 on the top of your mouth and 22 through 26 on the bottom. Your “eye” teeth, which are also known as the canines and are the teeth that are long and pointy for vampires are teeth six, 11, 22, and 27. As you can see, the names of the teeth are the same on the left and right sides and top and bottom, so that’s why it’s important to also number the teeth. When a dentist is working with a dental assistant or hygienist, instead of having to specify a molar on the right bottom, they can simply say 18 or 19. Keep in mind, the numbers and names on the chart pertaining to the dentist’s perspective, so you’ll need to reverse everything if you’re thinking about your own mouth. Why Should You Learn Teeth Names and Numbers? Though it isn’t necessary to know the tooth names and numbers to care for them properly, it can help you feel better about visiting the dentist. People have all sorts of reasons for feeling uncomfortable when they are at the dentist. Some are bothered by the sensory issues, such as the noise of the drill or the smell of the tools, while others are concerned about pain. In some cases, people are intimidated by their lack of information. They might feel overwhelmed or uneducated about their dental health. Learning which teeth are which and how dental professionals refer to teeth can help people who are intimidated feel at ease. It might not be necessary, but if it helps you cope with a dental visit and take charge of your dental health, it is well worth the effort of learning. It might also be a good idea to learn the teeth and numbers if you are planning to undergo cosmetic procedures. Your dentist will be able to decipher your goals even if you describe your teeth as “this one” or “that one,” but the conversations about cosmetic improvements might flow better if you are able to identify your teeth using the same language as your dental health care team. Another reason why you might want to learn about the names and numbers of your teeth is so you can share the information with your children. Kids are naturally curious about their bodies and if they know there is a dental visit in their future, you’ll likely catch them checking out their chompers in advance. This curiosity is great because it boosts the odds the child will feel good about the dentist and take responsibility for their teeth. If you’re able to sit down with your child in advance of their first visit to the dentist and discuss the tooth names and numbers, they will feel prepared and a lot less nervous for the visit. Whether you want to learn your teeth names and numbers to reduce your fear, out of curiosity, or so you can share the information with your child, it’s a great idea. If you have other questions about dental care or you want to know more about how teeth are named and numbers, we can help you learn more about what’s going on inside of your mouth.